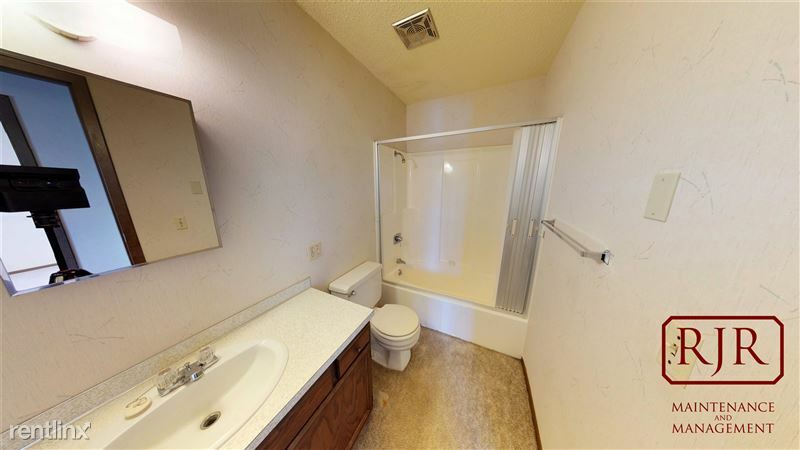 Description: This unit is a 900 sq. 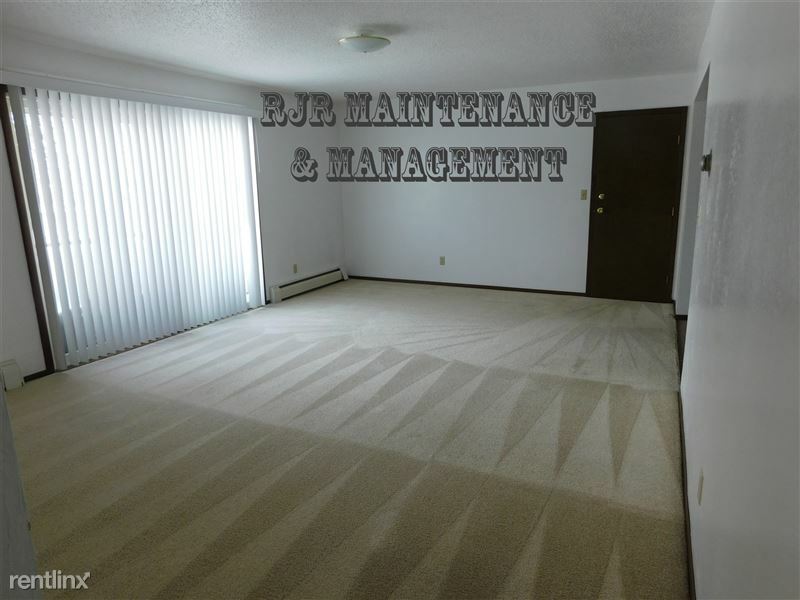 ft. 2 Bedroom 1 Bathroom apartment located in the heart of downtown Mandan. 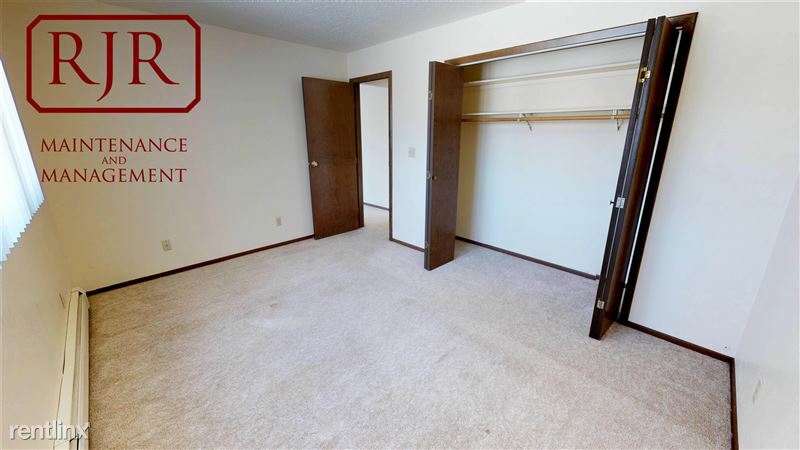 This unit has been beautifully updated with new carpet installed in the spacious living area and also both large bedrooms. The bedrooms feature sizable closets and daylight windows for an abundance of natural lighting. There is coin operated laundry available on site and off-street parking is offered as well. Unfortunately, this unit is not animal friendly. resident pays electricity. 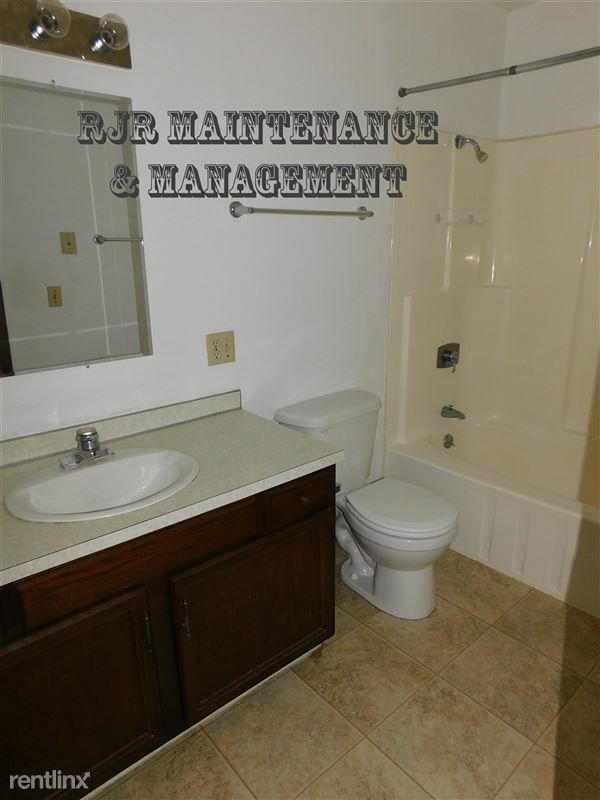 Rent is $670.00 with a $670.00 deposit. 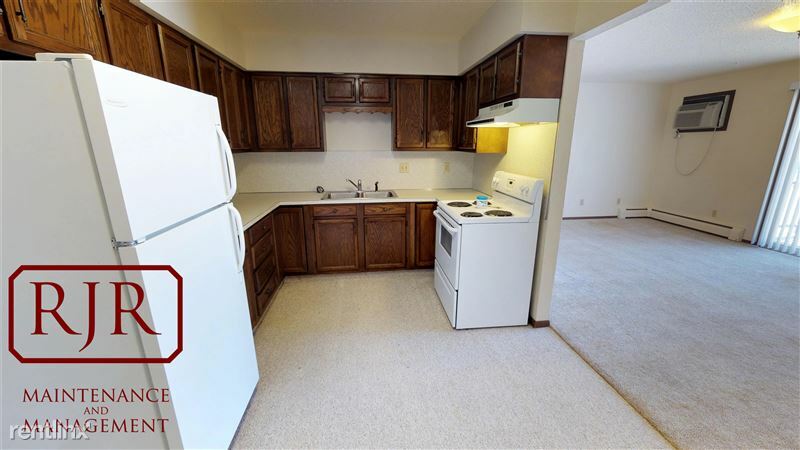 1 Bedroom, 1 bath, . 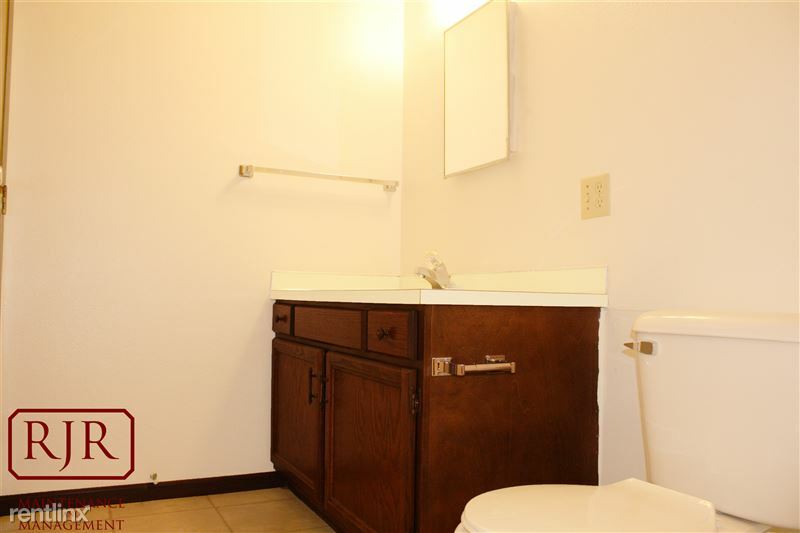 1 off street parking space, coin operated laundry, dishwasher, wall unit air conditioner. Tenant pays electricity. NO PETS. Rent is $575 with a security deposit of $575. UNDER NEW MANAGEMENT!! 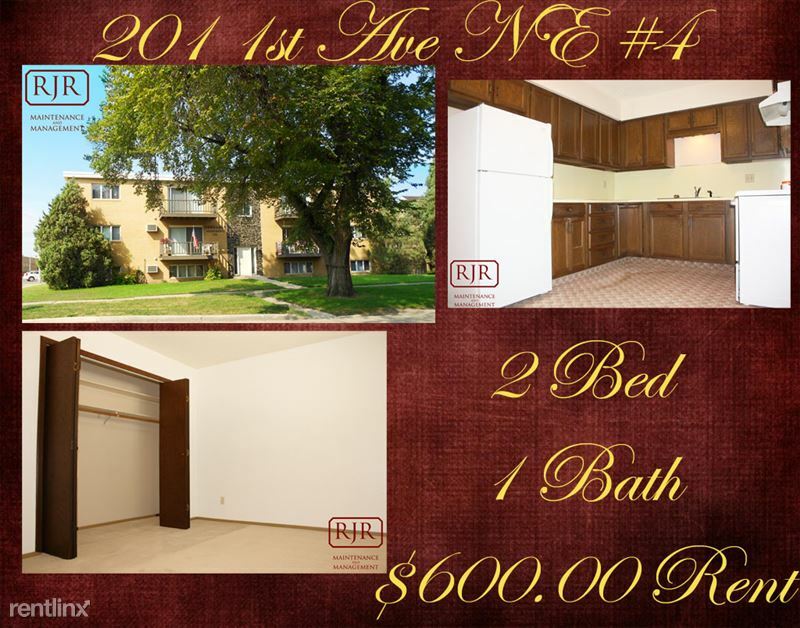 2 Bedroom, 1 bath, about 900 sq ft. 1 off street parking space, coin operated laundry, dishwasher, wall unit air conditioner. Tenant pays electricity. NO PETS. Rent is $575 with a security deposit of $575. 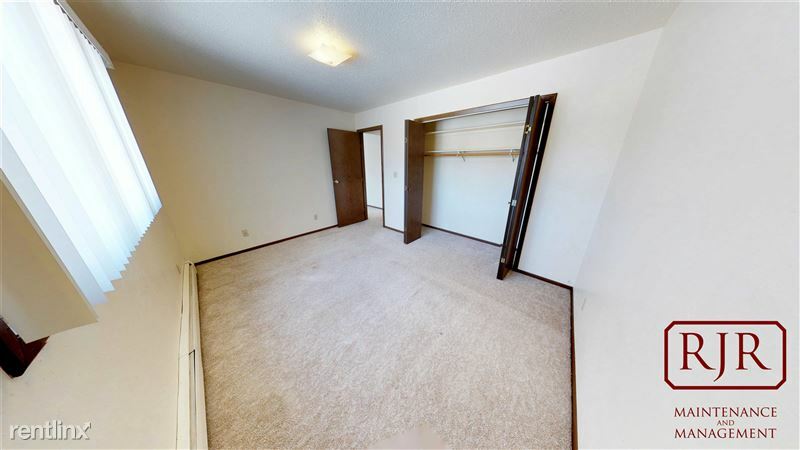 2 bedroom, 1 bath, about 1000 sq ft. 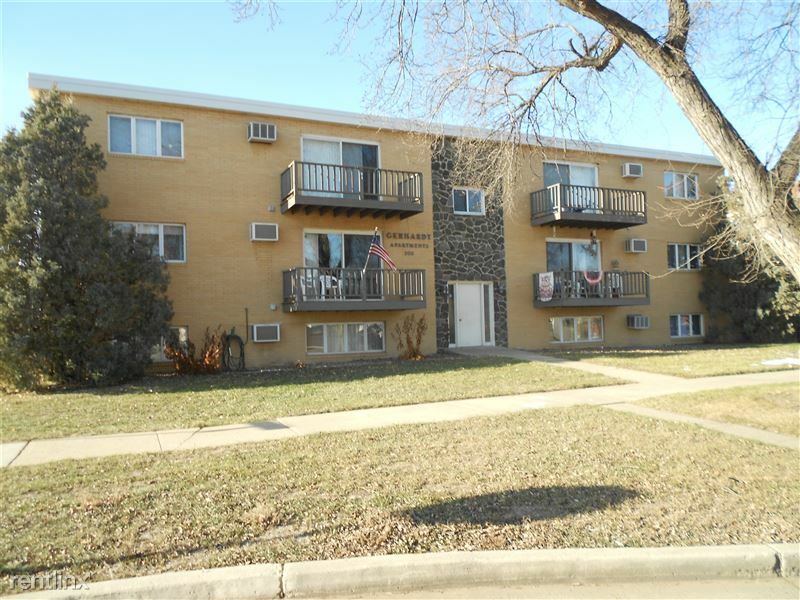 Walking distance to down town Mandan. Spacious and open living room and dining room with a balcony. 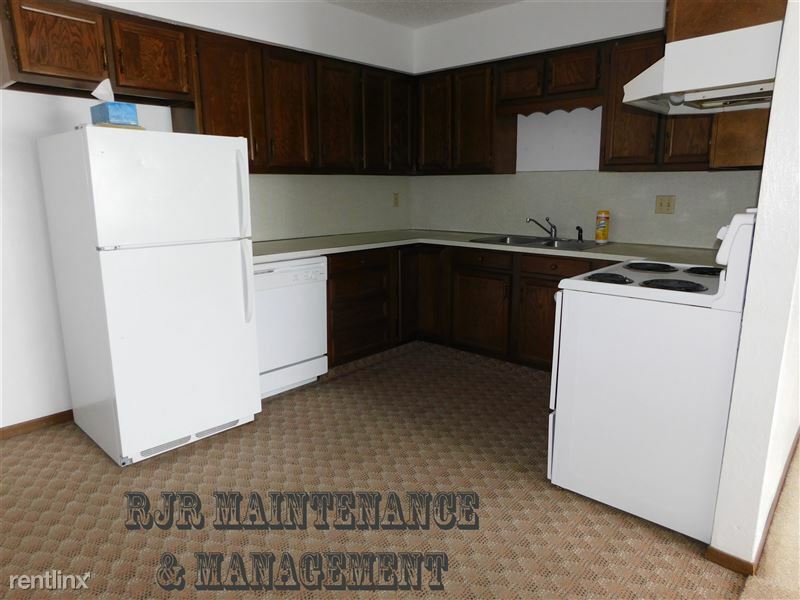 Newly painted, new appliances, wall unit air conditioner, coin operated laundry. 1 off street parking spot. NO PETS. 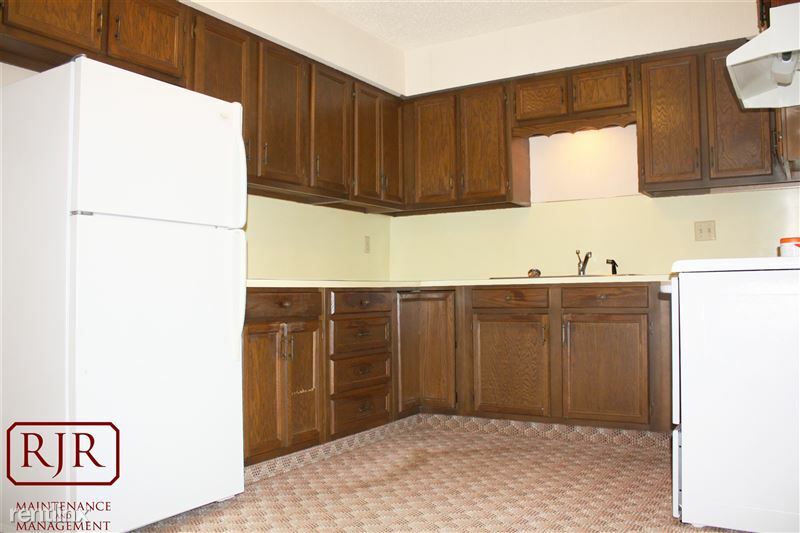 2 Bedroom, 1 bath, about 900 sq ft. 1 off street parking space, coin operated laundry, dishwasher, wall unit air conditioner. Tenant pays electricity. NO PETS. 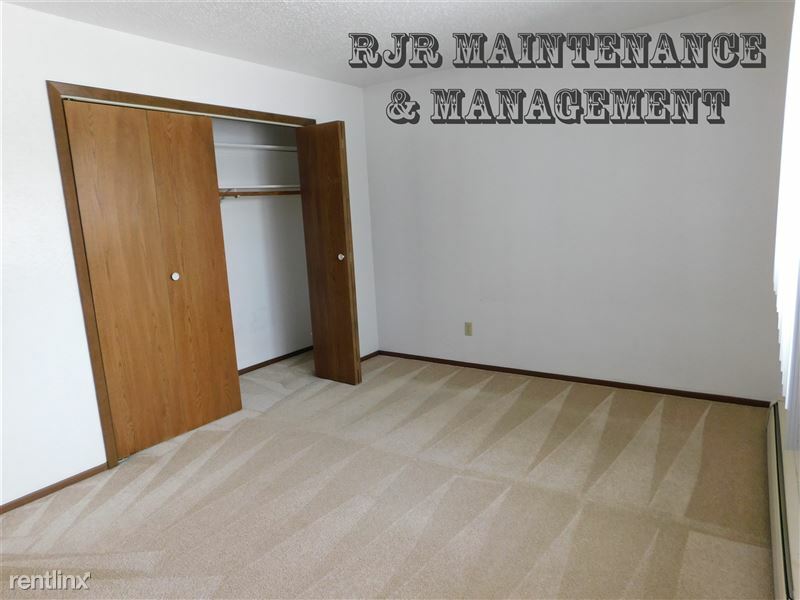 This 2 Bedroom, 1 bath unit is around 900 sq ft and is located in a quiet, mature neighborhood in North East Mandan. 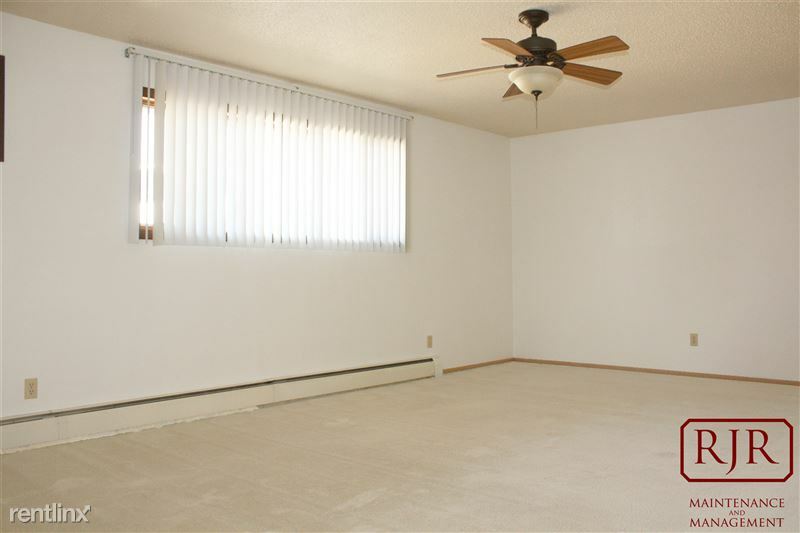 The living room is incredibly spacious and has a large patio door allowing tons of natural lighting. Outside the patio door there is a spacious balcony. 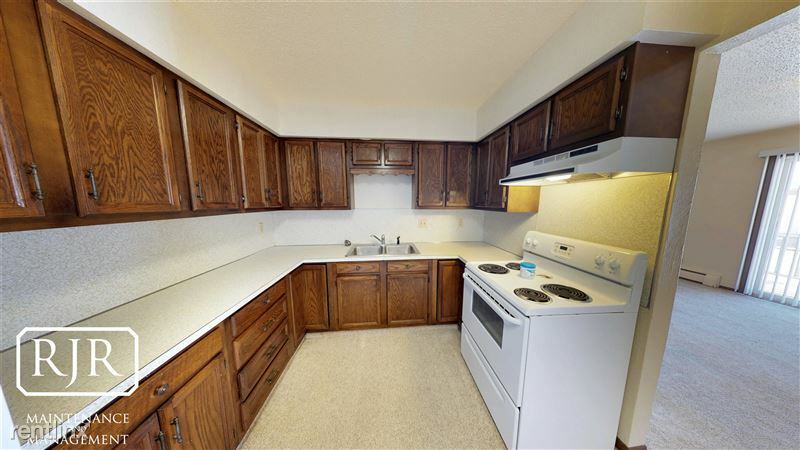 The kitchen has the perfect amount of cabinet space and has been recently updated with newer appliances. 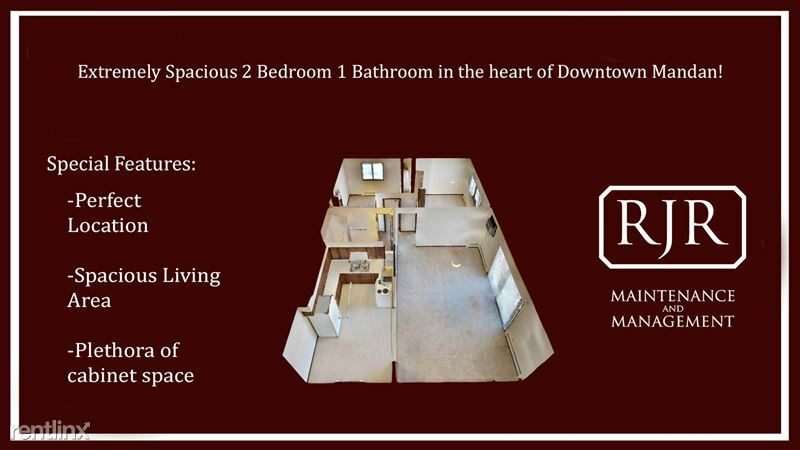 Both bedrooms are equal in size and have closet space for additional storage! Residents are provided 1 off street parking space. There is coin operated laundry available on site. Resident is responsible for electricity. Unfortunately, this unit is not animal friendly. All RJR properties are proudly SMOKE FREE! 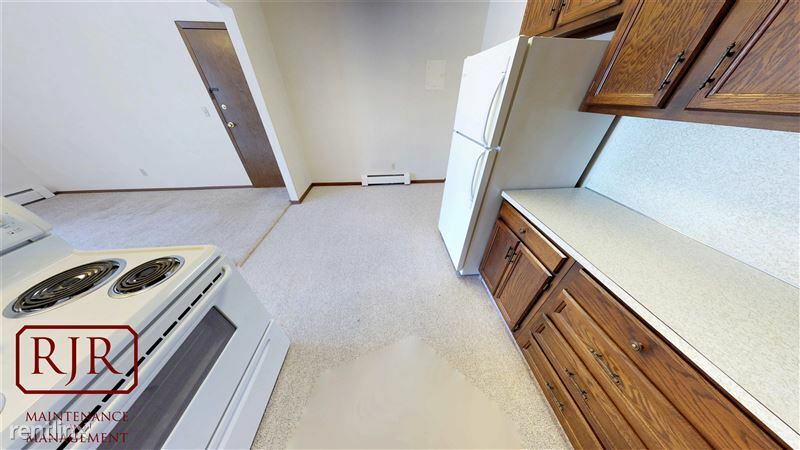 Please call to set up an appointment to view this property. 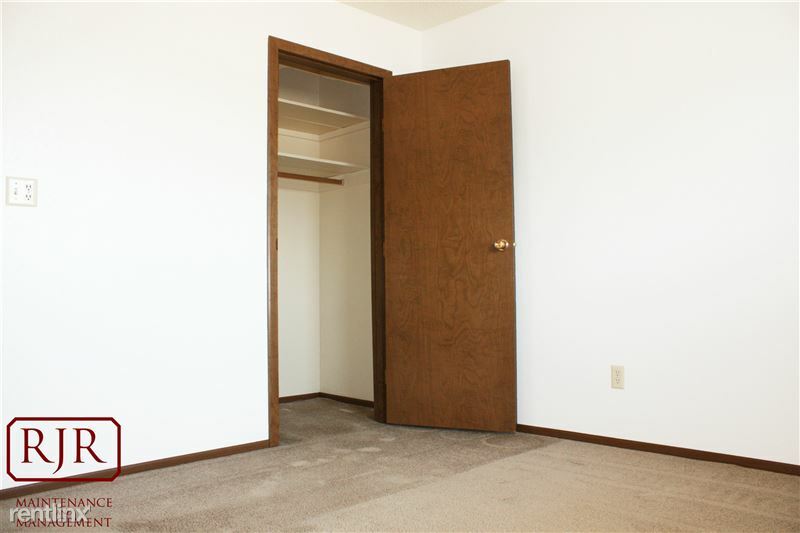 Viewings are Monday - Friday from 9 am to 4 pm. Background checks must be completed before approval. Anyone with a felony, drug charge, theft charge, or violent offenses (under 7 years old) will be denied. NO REGISTERED OFFENDERS! Credit checks will be performed. We do not look at your credit score, we are only looking for unpaid utilities (MDU, AT&T, Midco) and rental judgements. 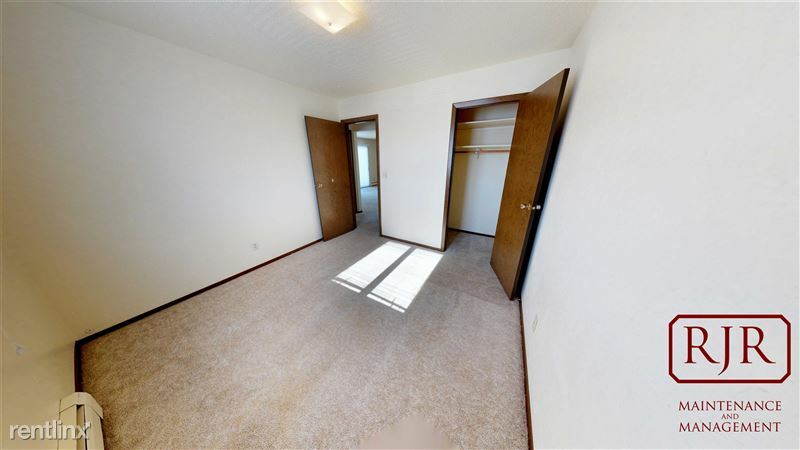 2 bedroom, 1 bath, about 1000 sq ft. 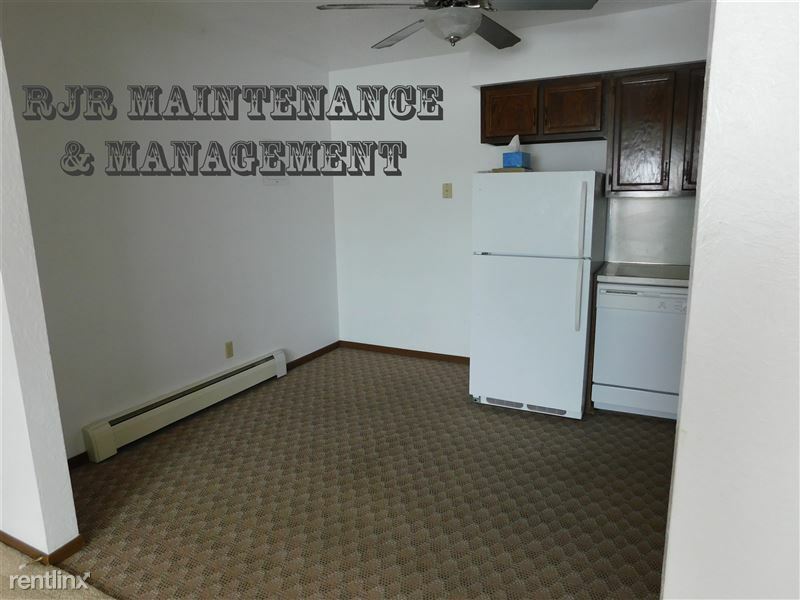 Newly painted, new appliances, wall unit air conditioner, coin operated laundry. 1 off street parking spot. NO PETS. *SPECIAL* Any deposit paid in the month of April comes with your choice of a $25 gas OR grocery gift card during move in! This unit is a 900 sq. 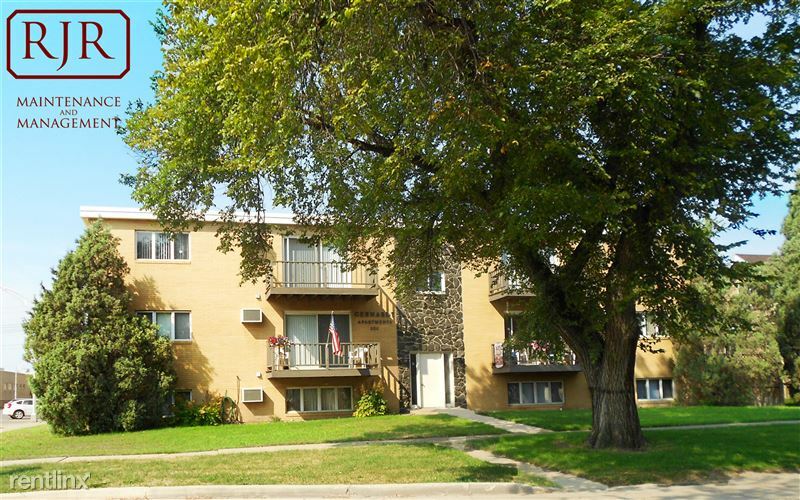 ft. 2 Bedroom 1 Bathroom apartment located in the heart of downtown Mandan. 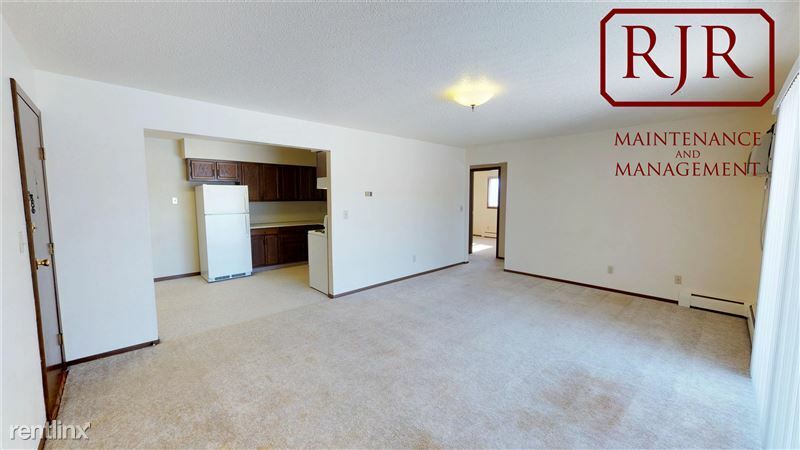 This unit has been beautifully updated with new carpet installed in the spacious living area and also both large bedrooms. The bedrooms feature sizable closets and daylight windows for an abundance of natural lighting. There is coin operated laundry available on site and off-street parking is offered as well. Unfortunately, this unit is not animal friendly. resident pays electricity. 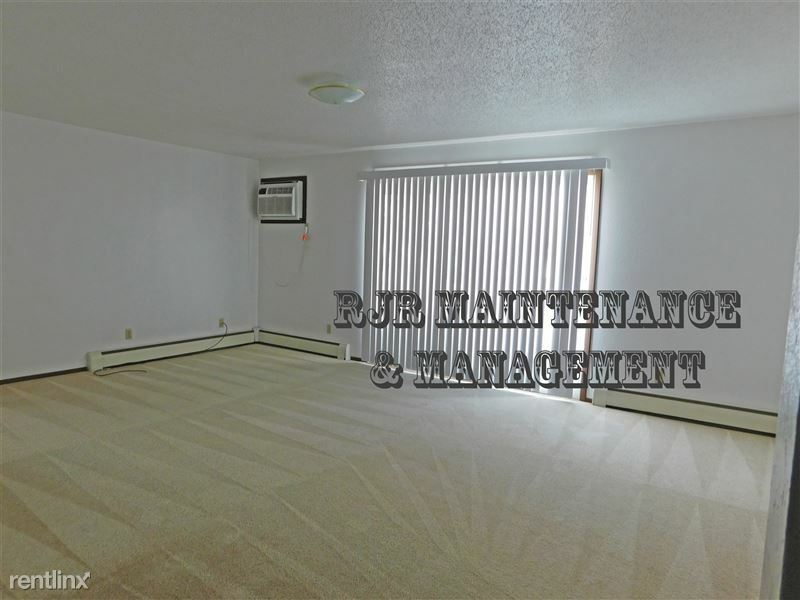 Rent is $670.00 with a $670.00 deposit. 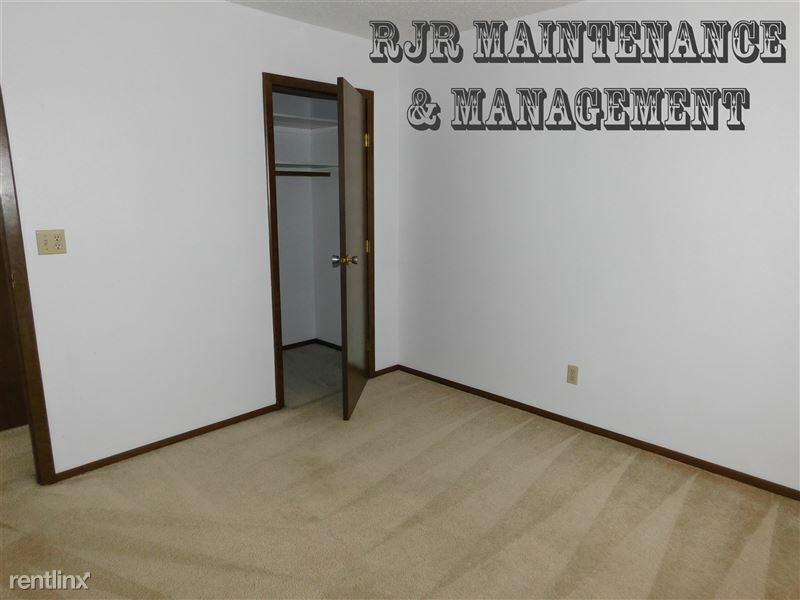 Open floor plan 2 Bedroom 1 Bathroom apartment located in close proximity to downtown Mandan. 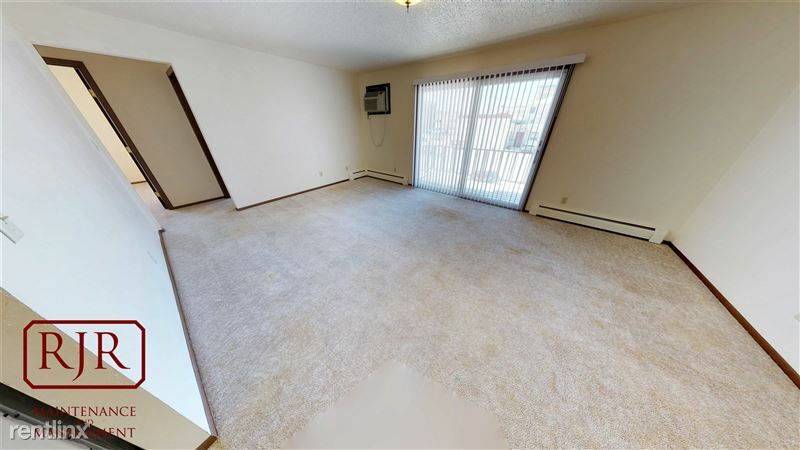 This unit has been updated with newer carpet in the large living room and both bedrooms. 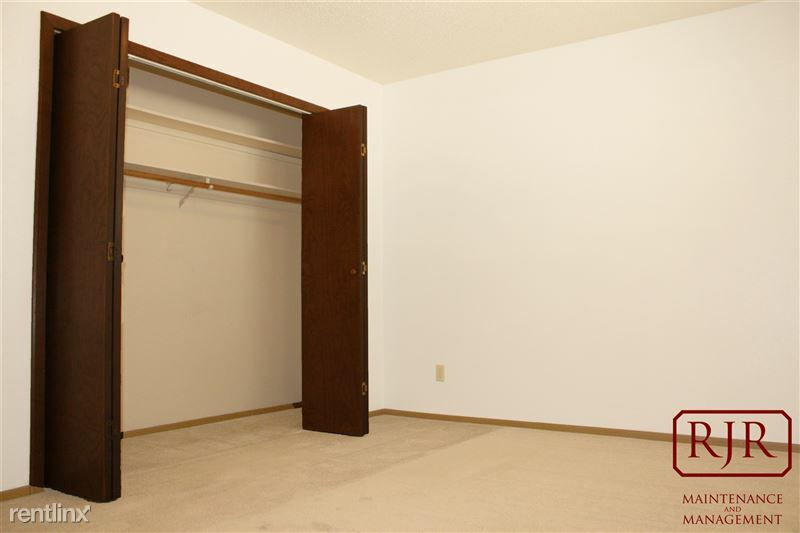 Both bedrooms feature sizable closets and day-light windows There is also additional storage in the hallway closet. There is coin operated laundry on site and off street parking. NO PETS! 6 or 12 month lease available. This is a SMOKE FREE property. *MOVE IN SPECIAL* Apply today and get the last TWO weeks of July for FREE!